Not only did I get two of those... I put them in RAID 0 and installed Windows and a few games on it. In case you didn't know, putting two drives in RAID 0 causes Windows to see them as one large drive and it basically doubles performance. 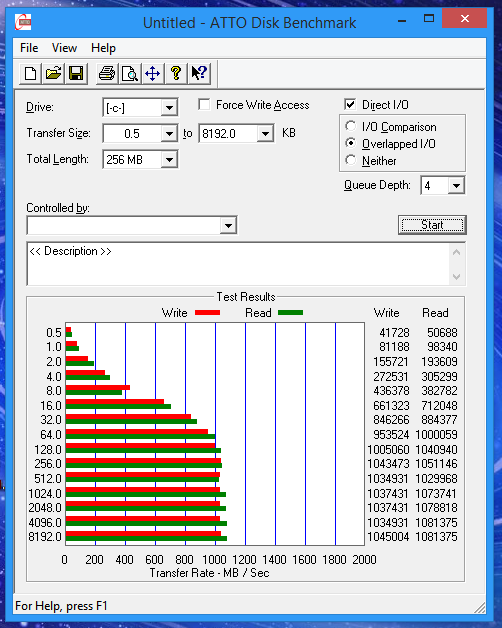 Doing that with two already incredibly fast SSD's yields very impressive benchmarks. It doens't, however, seem to translate into much actual noticeable improvement over just one SSD. Have a look at my benchmarks. That's absolutely ridiculous. But, as I said, I don't notice much actual difference in the day-to-day usage. It feels like it might be starting up a little faster, but that could be in my head. The only game I've run on it so far and done any testing with is Guild Wars 2. In that game I notice no difference whatsoever there. This isn't to say that you shouldn't get an SSD, or one of these in particular, I just wouldn't bother putting them in RAID 0 unless you have some really specific need for this kind of speed. Still though... nice benchmark numbers!